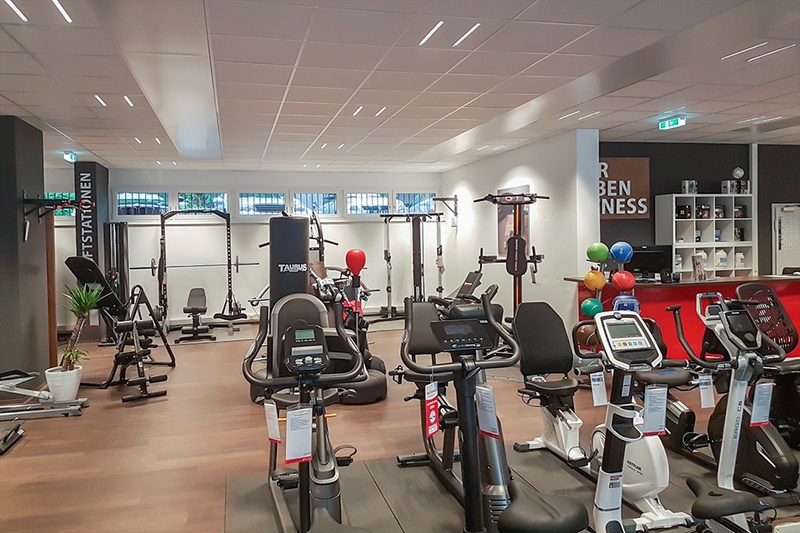 Bezoek onze fitness speciaalzaak met een showroom van 426m². When you wish to buy a fitness machine in Salzburg, Sport-Tiedje is your contact person. 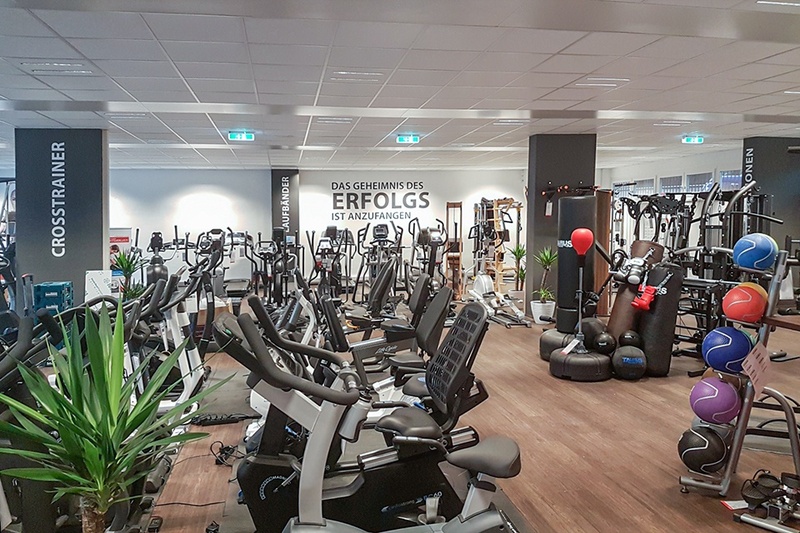 In our store in the Schallmooser Hauptstraße 16, you find high-quality strength and cardio equipment of well-known manufacturers on a space of 426 square metres. 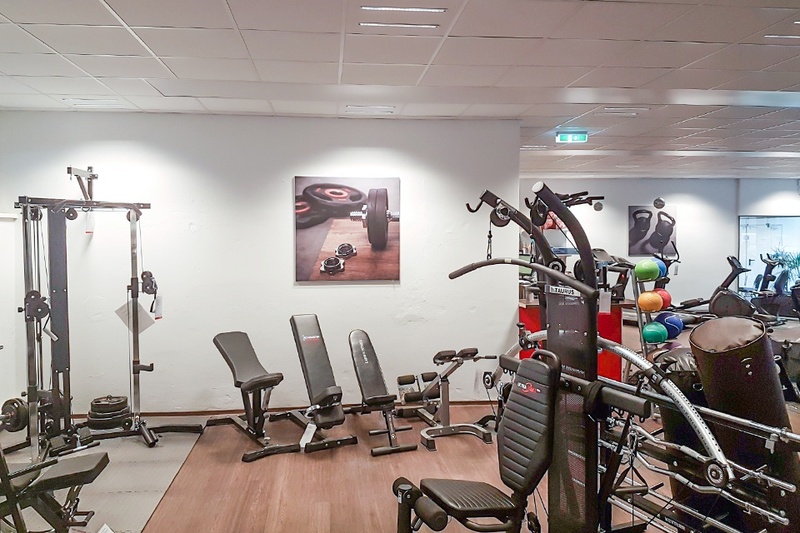 Upright bikes of Kettler, elliptical cross trainers of Life Fitness, treadmills of Horizon, rowing machines of WaterRower or multi-gyms of Hoist - you'll find your fitness equipment for a comfortable and joint-gentle training at home at Europe's No. 1 for home fitness. Those, who want to buy a fitness machine, have a lot of questions about it: What's the difference between an upright bike and an exercise bike? Which training equipment is very joint-gentle? Which upgrades are available for a multi-gym? Our sports-enthusiastic team is happy to reply to all your questions, because an individual advice comes first at Sport-Tiedje. Depending upon the training target, we recommend the appropriate sports equipment for your home training and give you practical training tips. 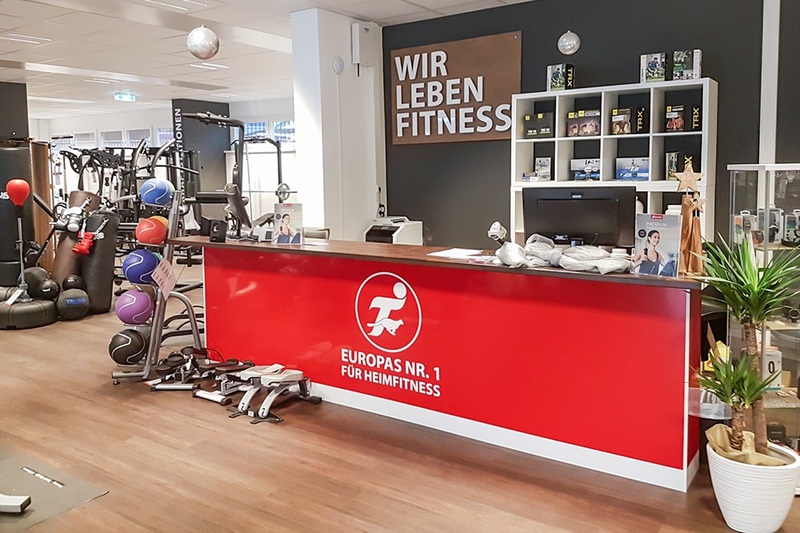 Of course, you can test the fitness equipment in detail before the purchase: Just visit us wearing your sporty clothes and go jogging some kilometres on the treadmill or test our high-quality rowing machines - purchasing fitness equipment at Sport-Tiedje in Salzburg is a real adventure! Besides fitness equipment, you also find many small devices, fitness accessory and sports nutrition at Sport-Tiedje in Salzburg - directly for take-away. You are might looking for a reliable pulse monitor or a high-quality yoga mat. Or your protein powder comes to an end and you need some more. Then Sport-Tiedje is your right address as well. We are happy to recommend you sporty accessory from the fascia roller to the weight, by which you can optimally complete your training.